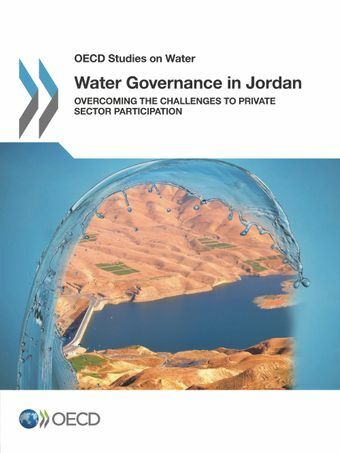 This report assesses the main governance and financing challenges to private sector participation (PSP) in the water supply and sanitation sector of Jordan, and provides ways forward to address them, based on international experience and OECD compendium of principles and good practices. Using the diagnostic analysis of the governance challenges to PSP in the Jordan water sector (Chapter 1), the report identifies ways forward to overcome bottlenecks focusing on three key pillars (Chapter 2): i) managing public-private partnership in a fiscally constrained environment through appropriate budget processes; ii) reducing the regulatory risks through supporting the development of a high-quality framework; and iii)managing and enhancing stakeholder engagement to improve accountability and buy-in. The report also includes an action plan with concrete measures to implement the recommendations proposed in the report.The report has been developed as part of a water policy dialogue conducted by the OECD jointly with the Global Water Partnership-Mediterranean (GWP-Med) in the context of the project labelled by the Union for the Mediterranean (UfM) “Governance and Financing for the Mediterranean Water Sector”, with the support of the FEMIP Trust Fund of the European Investment Bank. OECD Programme on Water Governance and OECD's Response to the Water Challenge.